Speedway racing can give you the highest of highs or the lowest of lows. I was a Reserve for my home GP in Melbourne last year, and waiting in the pits, I knew any moment I could get a call up to race. I just try and stay relaxed and watch the heats, waiting for something to happen – maybe someone will hit the tape and be disqualified, then I’m on. As soon as I got the call-up to race, adrenaline took over and I was in the Zone. Just getting the chance to race at GP level is tough, so you need to make the most of any opportunity. In that heat I was able to beat out Maciej Janowski, Davey Watt and Martin Vaculik. As a Reserve for the meeting I felt like I had nothing to lose. There was a little bit of pressure on me, but more so on the other guys I think. That night I had to wait again. I must have gained some confidence from my first win because I picked up another in heat 19, leaving me just outside a semi-final spot. It was a different feeling to a normal event but at the end, it was overwhelming to see so many messages of support. Not a bad result for a Reserve! Back in Europe during the year, life is different. It can be very hectic and stressful, always traveling and jumping on and off flights. Like most speedway riders, I ride for multiple clubs in different countries, jumping between the UK, Poland, Sweden and Denmark. About mid-way through last year, I hit one of those low points that come around occasionally. I was riding for Somerset Rebels in the UK Premier League and in 2016 we won the title. For 2017 we moved up into the Premiership and I ended up being their number one rider – a position where you need a lot of experience because you’re coming up against Speedway GP regulars like Freddie Lindgren and Jason Doyle. I knew things weren’t looking good. I wasn’t riding well at all and the team boss told me I had two meetings to get some results or I was out. I rode in Poland on the Sunday, and then back to England on the Monday. Somehow I managed to score 14 points in an away meeting win against Belle Vue, but the following meeting wasn’t so good – then I was sacked. It was strange because I was scoring well in every other country except England. The irony of it is in Poland I was top-scoring, even though there is so much more pressure there – one or two bad meetings and the boss will be yelling at you. 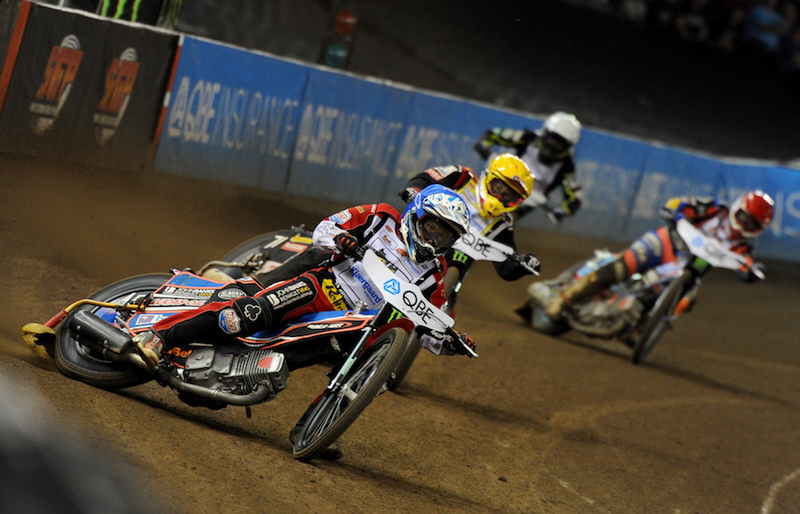 Maybe then you mightn’t be racing the following week – they take their speedway that seriously. I ended up changing my engine tuner in the UK and even saw a sports psychologist, trying to get back on track. We went over different ways to help my mental approach, and it worked out well in the end. Now I just have to keep it simple and keep doing what I’m doing. I’m training hard – lots of gym work and mountain bike riding, running, anything to keep fit. The 2018 Australian Championship has started off really well, and as I write this I have just taken out the first round in Kurri Kurri, only dropping one point. It was a great feeling to do well in front of my home-town crowd, that’s for sure! Moving forward, I head back to Europe in March where the aim is to keep at the top of the teams I ride for – in Poland it will be Łód, Lejonen in Sweden and Esbjerg in Denmark. Poland is definitely the most fun, the atmosphere is amazing, huge crowds, pressure and great tracks. To top it off there are the GP qualifiers and who knows? Anything can happen!